Ernest Gower was born in 1896 the son of Ernest Alfred Gower and his wife, Jane. 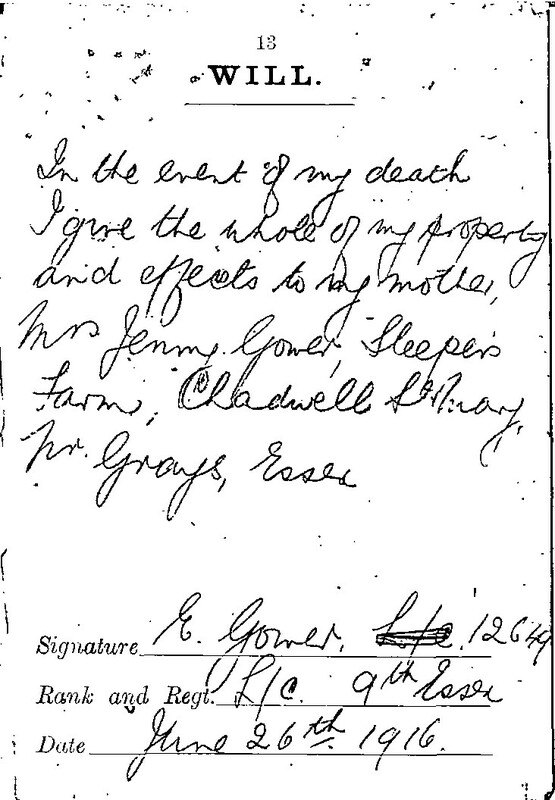 He lived with his parents at Sleeper’s Farm in Chadwell. He attended Chadwell St Mary Primary School and Palmer’s College. He played cricket for a local club side. With the outbreak of the Great War, he volunteered and joined the 9th Essex. He arrived in France on 30th May, 1915. He was killed in action on 3rd July, 1916 during the first few days of the Battle of the Somme. 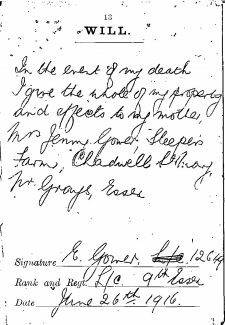 He left all his property to his mother (see image) who eventually received £8 12s 11d (including his war gratuity). 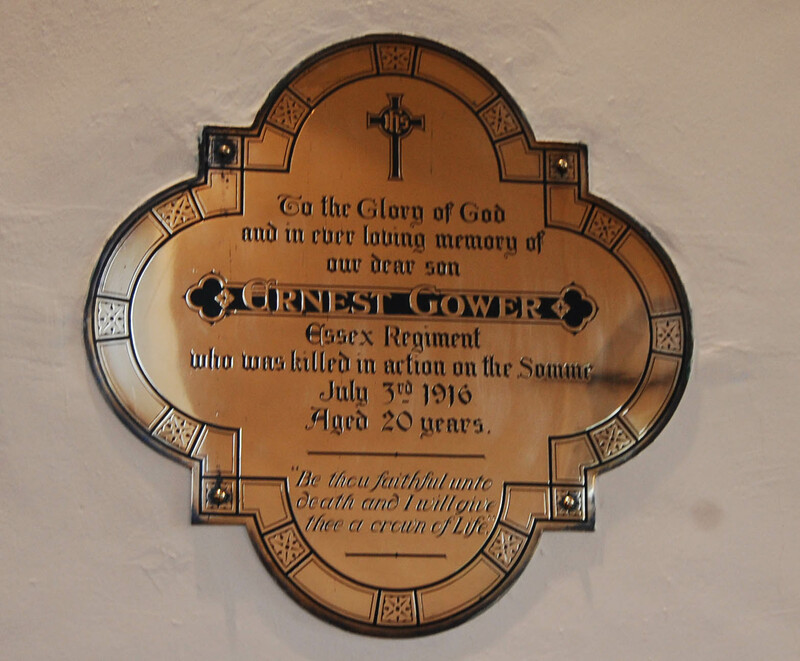 He has no known grave, but is commemorated on the Thiepval memorial, Chadwell War Memorial, inside Chadwell church, in the churchyard and on the Palmer’s Roll of Homour.